Welcome to a whole new sport! 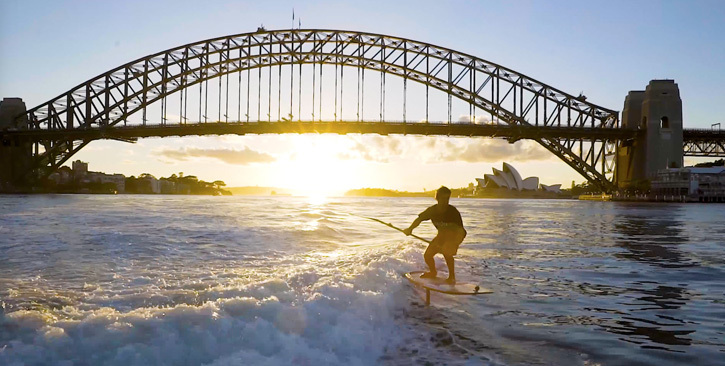 SUP Foiling, Hydro foiling or Foil Boarding is about to explode. 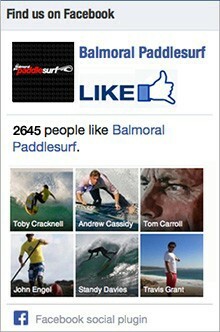 Whether you Surf, SUP, Kite, Windsurf or Wakeboard, Foilboarding will elevate your favourite sport to a whole new level! Foil boarding is a drug. It is a sensory overload, as you leave the water and start flying. No chop, no bumps, just effortless, silent FLIGHT! It is like riding fluffy dry powder snow. WHETHER PADDLING OR TOWING INTO OCEAN SWELLS, YOU CAN SEE WHY IT IS SO ADDICTIVE! The biggest mistake you can make is to rush into this sport. The best tip I ever received was ‘learn to foil before you head into the waves”. Get behind a boat and hone your foiling and hovering skills will save you months of frustration. By learning to foil before you venture into waves you will gain the necessary skills to ride SAFE for both you and others. I have been riding foils and surfing foils for over a year. I am no pro, but I have never badly bruised or broken skin with my foil. This does not mean that it is fool proof. Nothing ever is. But take it slowly and use common sense and it can be no more dangerous than normal surfing. Always wear a LEASH and I would recommend a HELMET and IMPACT VEST for next level safety. If you or others get hit by the foil it is going to get hurt. So make sure you find a quiet spot, with no one else out, with deep water for all your learning sessions. Starting out on the right Foil and Foil board gear that will allow you to progress and upgrade will save you money in the long run. The sport of Foil boarding is progressing rapidly and the smallest adjustments to your foil, board. mast and stance can be the difference between success and failure. These two things are the key to success. 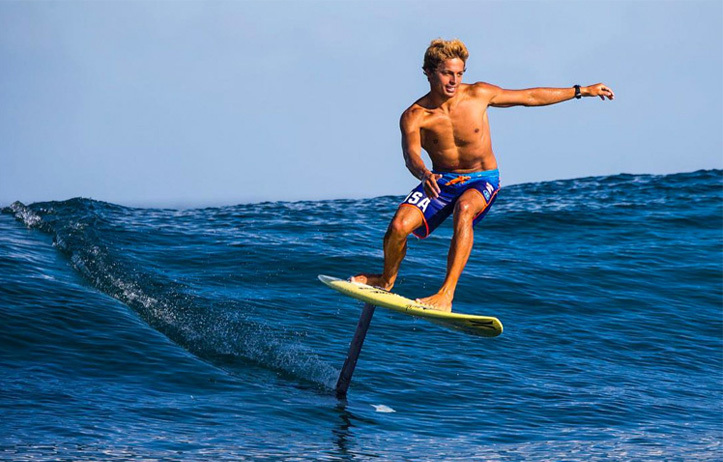 No matter what size your board is, it is only there to get you up on to the foil. Once you are up you are standing you are basically balancing on a long skateboard and trying to ride it on a 4′ pole. Stance, weighting and foot placement are critical. – You MUST be on the center line of the board. Maintain a centered stance, similar to snowboarding . – Your rear foot must be over or behind the foil mast. Your front foot should be 55-60cm from your rear foot. There is no point learning to fly if you cannot land. Your foil just wants to fly and keep going! Learnt to bring it down and you will learn how much front foot pressure you need to hold the ‘foil’. These are your friend. The deeper the water the fatter the wave, the better. All you need is a crest to get onto the wave. Once your up all you need is a moderate soft wave face. DON’T go out in shallow water or reefs unless you are experienced.